4) Can be used on structures such as facades and skylights where solar panels cannot be installed. Read in details about BIPV Modules, Technology, Types, Components and BIPV Shingles. i) Standard PV Glass – come in different colors and sizes to suit ones needs. 100% compatible with any building area and can be used ventilated facades, skylights, walkable floors, canopies, windows, curtain walls, balconies etc. Onyx Solar has launched the first colored photovoltaic glass used for construction purposes. One can also choose the degree of transparency for the glass. ii) Custom PV Glass – can be customized according to the client’s need. The company gives a turn around time of 48 hours. Onyx Solar also provides various services related to BIPV projects like EPC/ EPCM solution, designing the PV project, engineering, system installation and implementation and performance monitoring. Ascent Solar’s WaveSol Thin Film Modules integrate into building materials to produce solar power. WaveSol Light module is claimed to deliver the highest power density available on thin-film plastic substrates. Ascent Solar modules laminates can be used in roofing, shading and building surfaces. They are available in 5 meters for large, flat surfaces; also available in 2 meters, loads of less than 1 lb/sq ft on low slope roofs. These are lightweight and flexible. Warranty Period: 10 years, 90% power; 25 years, 80% power. 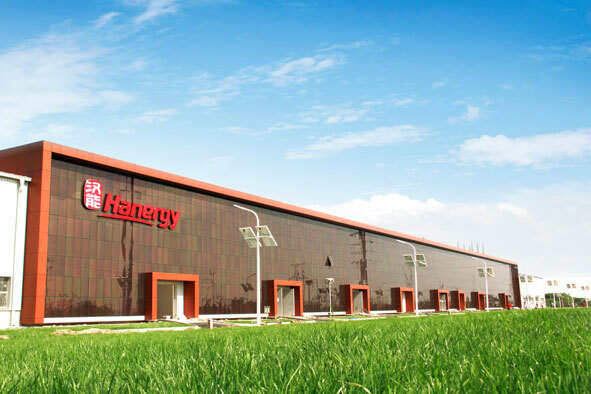 Hanergy is the largest China based thin film company, with branches in China, North America, Europe, Asia-Pacific and other regions. Hanergy manufactures high efficiency thin film solar modules. The acquisitions of Solibro and MiaSole have helped Hanergy to achieve 15.5% efficiency with its CIGS modules. Hanergy’s BIPV modules have been successfully integrated into facades in the Jiangsu Wujin project. The BIPV products were first launched by the company in 2011. Another plant is under construction at the global headquarters in Beijing, which aims at the integration of solar thin film PV modules to facades and rooftops. There is also a Solar PV parking lot under construction at the Beijing headquarters. Hanwha SolarOne Co. Ltd. is the flagship of the Hanwha Solar Network, throughout the PV value chain – from the production of polysilicon to project development and financing services. Hanwha SolarOne solar modules are ideal for on grid & off grid applications for commercial, residential and utility purposes. Hanwha SolarOne manufactures BIPV modules using “glass-on-glass” technique. It is ideal for shading windows, replacing walls or skylights and creating transparent roofing structures. They also manufacture customized solar modules based on the building’s requirements. May i know the commercials of this technology? If we were to estimate a rate then how much rs per watt it would be? or any other parameter where the cost can be compared? We are looking for quality BIPV systems to be installed on dead walls in our Institutions in NCR. Cumulatively these areas would figure out to be thousands of Square Meters. The jobs would be done on turn-key basis. H.Glass is the manufacturing compagnie of DSSC modules for BIPV projets. Please visit our web pages.